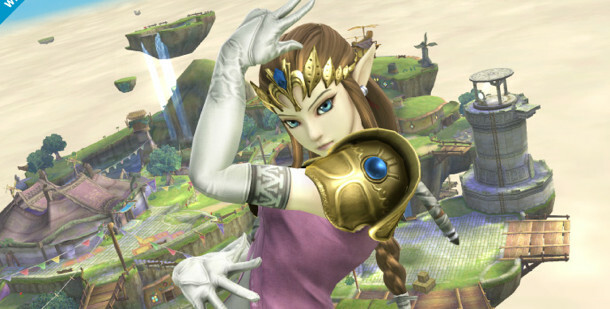 Another Princess Announced for Next Super Smash Bros.
Nintendo’s legendary princess Zelda has been announced as the 20th roster member for the upcoming Super Smash Bros. games on 3DS and Wii U, joining the likes of Mario, Sonic, Fox and her franchise-mate Link. She appears to be depicted as she was in Twilight Princess, matching Link’s styling for the new Super Smash Bros. entry. Most fans will have assumed Zelda’s inclusion, as she has featured in the last two games in the franchise, and many are still waiting the unveiling of a brand-new fighter. Curiously, there has been no sign of her alter-ego Sheik, though that announcement shouldn’t be far behind. The new Super Smash Bros. games still don’t have specific release dates, but they’ve been promised to appear in 2014.